NYCDailyDeals -- What's Free And Cheap In New York City Today: Habana Outpost Now Open - Cheap Food & Drinks! Habana Outpost Now Open - Cheap Food & Drinks! Summer is officially around the corner.... now that one of my favorite eating establishments has opened its doors. 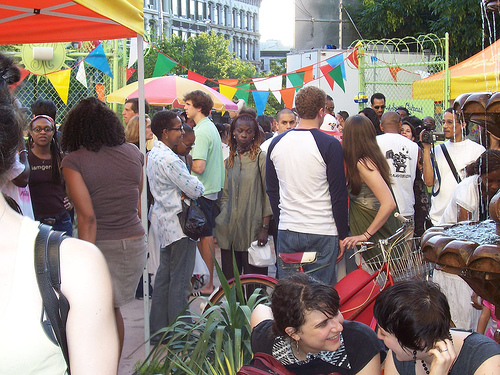 Habana Outpost, an eco-friendly outdoor eatery in Fort Greene is a sight to be seen. Their menu includes a most delicious white cheese and avocado sandwich ($7.50) and Six Point beers for $2.50 cents all day every day! If you've never been, now the time to make your way out there! Free Bowling This Weekend? Let's Play! Fulton Street Market Is Open! Free Chicken & Sides From KFC!